You have to add to cart at least 5 bottles or any program to make checkout. With this order you will receive 0 FREE weed seed of our own brand of choice. This allows you to choose when completing your order. .
By buying this product you can collect up to 15 loyalty points. Checkout your current loyalty points score and all available gifts via the Loyalty Bonus Page. Zativo caters to private customers only, and does not supply commercial or industrial growers with large amounts of cannabis seeds. If we have reason to suspect that the ordered seeds are destined for growing cannabis on a larger-than-private scale, we reserve the right to dismiss that specific order. 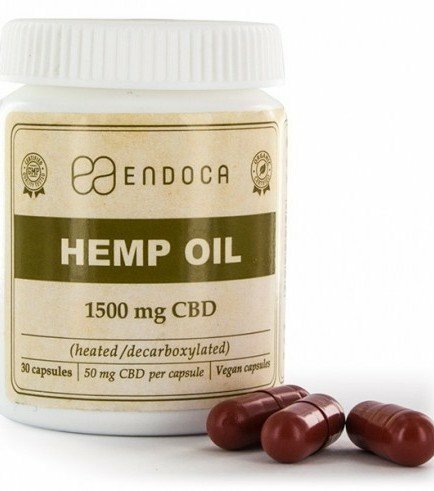 Endoca produces its products using hemp plants grown in the EU, without the use of pesticides or other chemical concoctions. All of their products are guaranteed additive free and their extracts contain over 400 of the complex, beneficial compounds found in hemp. Endoca products have been used by over 10,000 people without a single incident of an adverse reaction or allergy. This product should be kept cool and away from sunlight. Nursing or pregnant women and others with existing health conditions should seek the advice of medical personnel before using this product. Will CBD Oil Give You A Positive Drug Test? Some people worry about not passing drug tests (at their workplace for example) because of using CBD oil. Read this article to find out if this is a realistic thing to worry about. Lots Of New CBD Products In Our Assortment! Zativo searches the hemp and cannabis world to be able to provide a selection of all-natural products. Oils, capsules, crystals and more: Here are some new CBD products from Cibdol, Endoca and MediHemp. They are rich with CBD, CBDA, terpenes, cannabinoids, omega 6 and omega 3, and other healthy hemp compounds. Check out our new range of CBD products! Can You Fail A Drug Test From Second Hand Smoke?